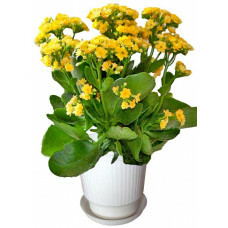 When leaves are present, the plant is actively growing. Water whenever the soil feels dry. Avoid getting water on the crown of the plant. 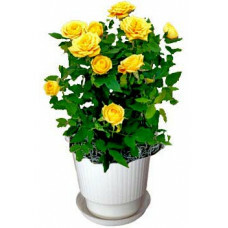 As the flowers begin to fade, gradually allow the plant to dry out for 2-3 months. It*s going into a dormant stagehand any excess water will cause the tuber to rot. New growth will probably start to appear around September. At this point, resume watering and feeding. Bring it back indoors before the cold weather. 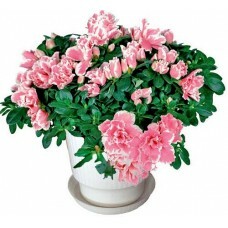 High humidity, especially during winter, is crucial. 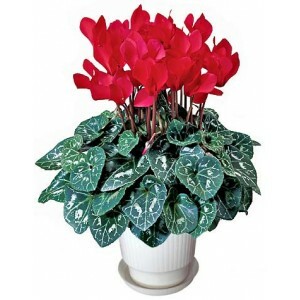 Keep the cyclamen on a tray of water with a layer of pebbles or something else to form a shelf for the cyclamen pot to sit on. Do not let the cyclamen itself sit in the water. 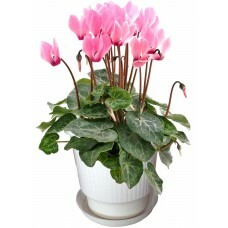 Give cyclamen bright, indirect light in the winter. 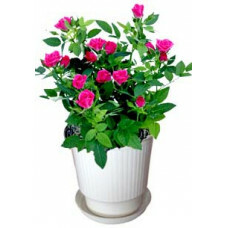 While your plant is dormant during the summer, keep it out of bright light.